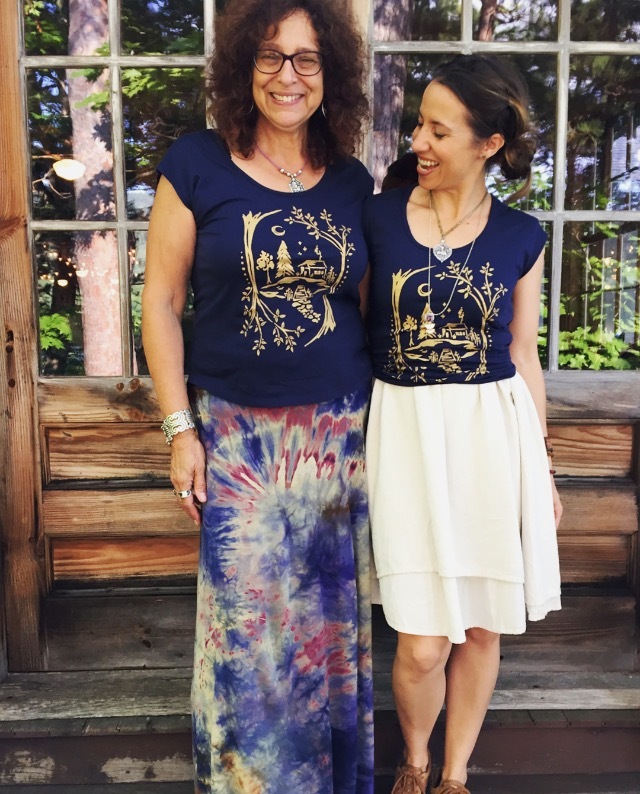 Oh so honored to have these two friends ~ Loretta Kretchko & Meg McElwee ~ wearing their Untold Imprint tees and vintage amulet necklaces. 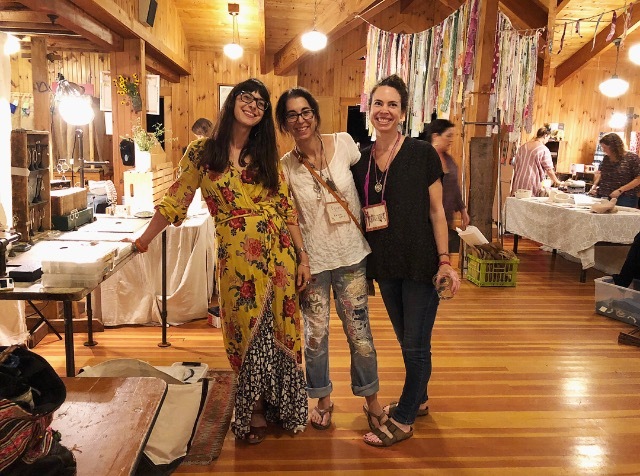 I heard stories, saw photos, and have even been attending the Art Fair for the past several years, but it’s so true – you don’t fully understand what Squam is, and how special the place and people are until you experience it. Something happens in those woods by the lake that’s difficult to put into words. It’s almost as if you’re granted permission upon entering to just ‘be’. No shoulds, no obligations, no judgments, no To Do lists – just being there in that quiet, beautiful place, in exactly the way your heart and body feel comfortable being there. 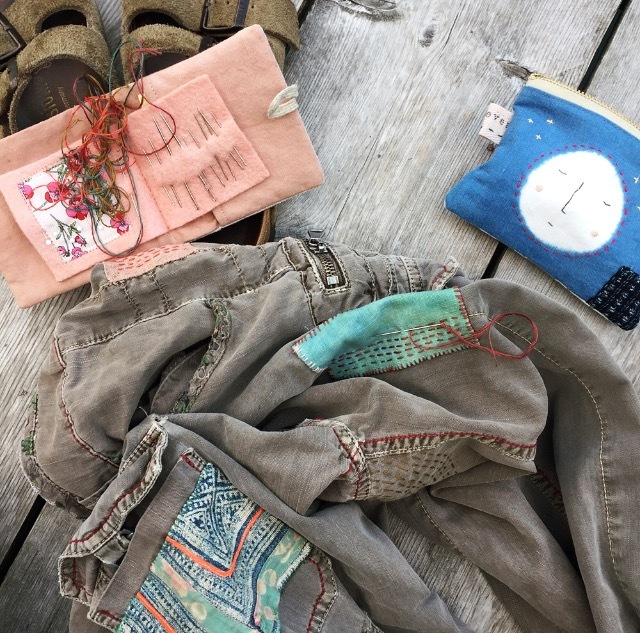 If I wanted to skip breakfast and sit on the dock to stitch for two hours in the morning, that’s exactly what I did. 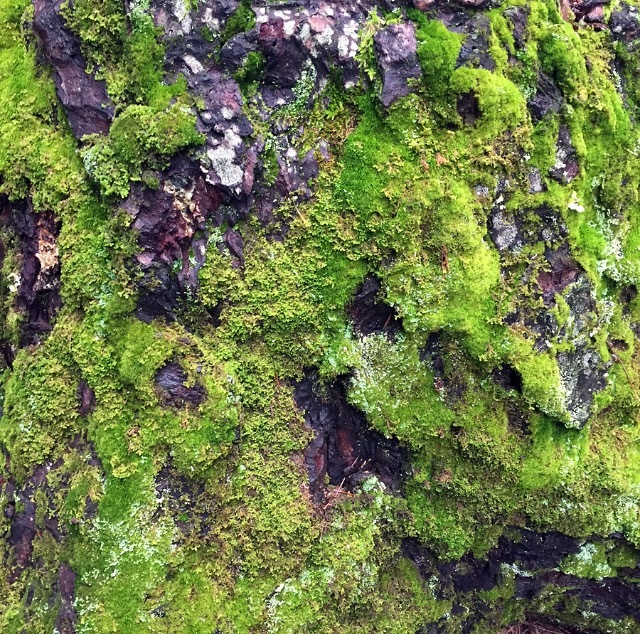 It felt freeing and nourishing and so easy. And amidst all that ease was sewing, knitting, creating, laughing, learning and heart-to-heart chats. Simple things with profound effects. 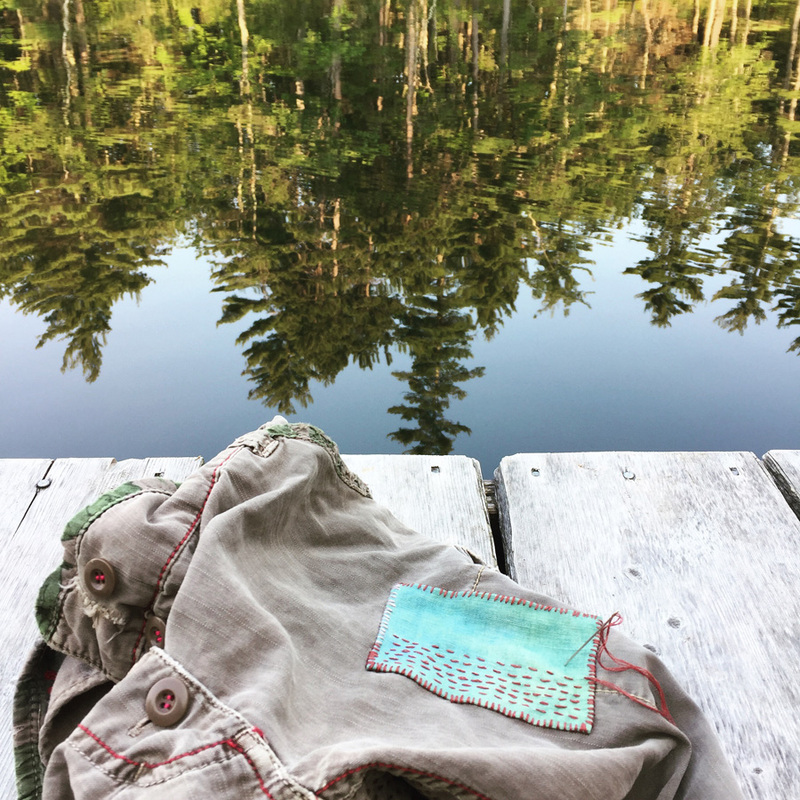 So now that I know the magic of Squam, it would be impossible not to return and reconnect with the kindred spirits I met and the brilliance of nature that embraced me. Thank you to my teachers Ann Wood and Karen Stevens for inspiring me and sharing their incredible gifts. And deepest gratitude to Elizabeth Duvivier and Meg Fussell for creating a space that allows all who enter to just BE.